Andrea grew up in Laramie, Wyoming. Her dad grew up on a ranch just over the border in Colorado and her mom was raised in Denver. Andrea became a star on the debate team at Laramie High and was recruited to join the University of Kansas Debate Team. During her four years as a member of the University of Kansas team, Andrea traveled across the country, winning numerous awards and qualifying for the National Debate Tournament. Andrea had natural talent at building cases, and her years of experience on both national qualifying teams took her skills to a whole new level of excellence. As Andrea was finishing college, her younger brother passed away. Instead of going back east for law school, she came home to help her parents cope with the loss and attended law school at the University of Wyoming. Andrea graduated from law school in 1991. See below for more about her accomplishments and formal credentials. Andrea is a mother of two sons and her favorite thing is spending time with them. She loves watching her boys play soccer and hockey. Andrea is also a writer and loves writing screenplays. She also enjoys hiking, running, movies, art and architecture. She looks forward to the opportunity to get to know you. Bachelor of Arts, 1988, University of Kansas. Juris Doctor, 1991, University of Wyoming College of Law. Member and Casenote Editor, Land & Water Law Review. Best Speaker, National Environmental Moot Court Competition, Pace University, White Plains, New York. American Jurisprudence Award for Conflict of Laws. Law School. Andrea excelled in law school. She was particularly successful in moot court. She earned several regional and national awards. In fact, Andrea and her moot court partner were selected to attend a national competition in New York. At that competition, the National Environmental Moot Court Competition, with attendees from every state in the country, Andrea was voted best speaker. Andrea is a skilled writer and her case note was selected for publication by the law review. She served as a case note editor on the law review. Widely known as one of the more challenging classes in law school, Andrea took the Conflict of Laws course. She earned the “high A” in that class and was awarded an American Jurisprudence award for receiving the highest grade. Because of her success in moot court competitions, upon graduation Andrea was selected as a member of the prestigious Order of Barristers, which recognizes those who excel at moot court and trial advocacy. She passed the bar exam on her first try. Clerkship. After Andrea finished law school, she clerked at the Wyoming Supreme Court for a great man, the Honorable G. Joseph Cardine. Justice Cardine taught Andrea wise and important lessons, which she carries with her to this day. After clerking, Andrea entered private practice in 1993 and began working for a large Denver-based law firm. Success at a Large Firm. 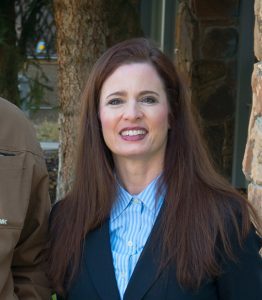 Andrea moved rapidly up the ladder at the Denver firm and became a partner in 1999, five and a half years after joining the firm. While there, Andrea litigated and tried several cases including real estate, construction and employment matters. In 2004, after 11 years at the large firm, Andrea opened her own law practice in Jackson, Wyoming. Turning Point–Gerry Spence’s Trial Lawyers College. In 2008, Andrea applied for and attended Gerry Spence’s rigorous Trial Lawyers College, a month-long trial skills workshop that is regarded as the most intensive trial training program in the country. The College trains lawyers who are committed to the jury system and to obtaining justice for individuals; especially the voiceless, the injured, and the forgotten. Andrea participated in rigorous daily training geared specifically toward making her the best trial lawyer she could be. Andrea’s work at the Trial Lawyer’s College began an intensive period of self-examination and growth. Today, she is a vastly changed person. She is a much stronger and more effective advocate. Andrea believes in America’s jury system and believes that juries can best protect the rights of those who truly deserve justice. Over the years, a number of Andrea’s cases have been published, including: City Council of Laramie v. Kreiling, 911 P.2d 1037 (1996); Simon v. Teton Board of Realtors, 4 P.3d 197 (2000); Erpelding v Lisek, 71 P.3d 754 (2003); Teton Builders v. Jacobson Construction, 100 P.3d 1260 (2004); Joe’s Concrete and Lumber, Inc. v. Concrete Works of Colorado, 252 P.3d 445 (2011). Teresa is a critical part of our team at The Richard Law Firm. Teresa is an outstanding writer and thinker. She is uniquely talented at organizing and analyzing the evidence in a case. Some might be intimidated by complex issues or large numbers of documents, but not Teresa. She dives in and works harder. Teresa is terrific at tackling the hardest, most complex problems. She is passionate about getting justice for our clients. Teresa’s tenacity and hard work are exceptional. 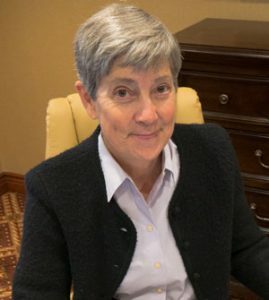 Teresa de Groh received a Bachelor of Arts in Biology from Grinnell College and her Master’s Degree in Urban Planning and Policy from the University of Illinois. 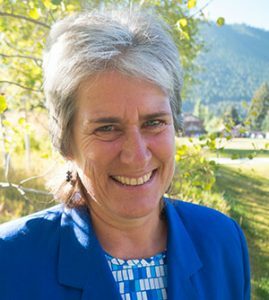 Teresa moved to Wyoming to work for Teton County as a Planner and, over 14 years, rose to Principal Planner. Teresa is a published author, researcher, and conference presenter. Teresa has a passion for community service and after leaving the Teton County planning department, she became a volunteer emergency medical technician (EMT), firefighter and Apparatus Driver/Operator. She is very active in her service with the Jackson Hole Fire/EMS Department and the Jackson Firefighter’s Association, and has served on several emergency service boards. Teresa also served, by gubernatorial appointment, on the Wyoming Council for Women’s Issues for over 10 years, including leading the Council for four years as Chair. Teresa started working as a paralegal at The Richard Law Firm in 2012. Her work is essential in all aspects of case and trial preparation. Her diverse skill set makes her an invaluable member of our firm. Lila Wheatley, a Connecticut native, received a Bachelor’s Degree in Animal Science and Pre-Veterinary Studies at the University of Connecticut. Her multi-tasking skills gained her positions in horse barn management and later helped her obtain her Series 7 stockbroker license, after which she became the operations manager for a brokerage office in Westport, Connecticut. Following her love of horses, she moved to Colorado in 1985 and continued her work as a manager of a private horse boarding stable and later managed a securities office. Horses drew her farther west when she moved to Washington State to manage a thoroughbred race horse training farm. She was responsible for payroll, accounts payable, transporting and exercising racehorses. Lila used her outstanding multi-tasking skills again as the administrative assistant to the North American Sales manager of an international vegetable seed production company. In 1997 she had an opportunity to work with a sled dog operation in Wyoming. She started as a tour guide with her own dogs and quickly became the general manager. Her multi-tasking skills were put to use again as she managed reservations, client check-in, payroll, bookkeeping, and puppy training. Since 2004, she has worked as an office manager/bookkeeper at an architecture firm and started working for The Richard Law Firm in 2011. Lila excels at analyzing financial and accounting issues, thus keeping our bookkeeping and billing well-organized. Lila now lives in Etna, Wyoming and draws on her love of the outdoors, sled dogs and horses for her efficient, team-based and highly-skilled approach to her work. We are lucky to have Lila as a terrific member of our team.